Each year Fandemonium strives to bring you the most amazing, the wildest, the weirdest, the strangest, the most interesting and unique guests ever seen at a fan convention in Idaho or anywhere else for that matter. Our guest line up always crosses the boundaries between genres, indie.cultures, alt.cultures, and all realms of Fandom. It stretches the very limitations of human imagination and wonder that we can fit such an amazing menagerie of of unimaginable individuals and groups within one wondrous event.
. Originally from San Francisco, Russ grew up in both Japan and the United States, garnering an international viewpoint of the world throughout his childhood. 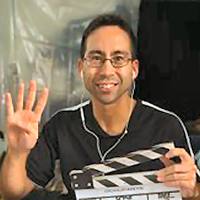 After graduating from the University of Southern California with degrees in Cinema-Television, International Relations and Japanese, (and gaining more production experience at the UCLA Extension Program), he founded Russem Productions in 2002 in order to promote his short films including "Her Knight" (2003), the award-winning "Girl With Gun" (2006), "The Assassin's Apprentice" (2017) starring Robert Picardo and Marina Sirtis, and the documentary "Restoration of Paradise" (2014). He also produced several shorts including "Mavet" (2004), the zombie-flick "The Diary" (2004), the vampire film "Perfect Red" (2006), as well as "Cult 11" (2010) and "The Meeting" (2013), two popular web series (where he directed two episodes each). His latest feature film, "Occupants" (2015), was the winner of the "Best Sci-Fi Feature Film" Award at Shriekfest and an Official Section at the San Diego Comicon, being highlighted in the Huffington Post, and marked Russ's fourth foray into feature filmmaking - after having directed "P.J." (2007), "Chasing the Green" (2009), and "The Legends of Nethiah" (2012). He resides in Huntington Beach, CA. Do you like conventions? Cosplay? General nerdiness? Then Animatics might be the place for you! This once a month club is like tidbits of a conventions each meet. You'll find such events as: cosplay workshop, art day, holiday parties, community BBQ / potluck, game day, discussion sessions, and sometimes even guests of honors. We also have some friendly competition events like our cosplay contest, improvisation skits, and an unconventional Olympic event. The club is held on the second Sunday of each month from 7pm till 9pm at a great locally owned bookstore called Rediscovered Books. All ages are welcome with the bulk of attendees being teenagers to adults. The best part is the club is free! We are a locally founded Game Studio in Boise, Idaho. Our motto is: Bringing retro qualities to new games! Our company is all about bringing passion and nostalgia back into gaming! We strive to bring a monumental change in the game industry. We embody the pure belief that games should be made for the people who want to immerse themselves in a new world, a new universe full of endless possibilities! A world where they can fully express their inner desires and develop deep connections to characters, the story, and the world. Here at Dragon Lens Studios, we feel that the modern era of gaming has really taken a step in the wrong direction, away from the nostalgic games of our past. We want to implement the feeling of embracing a new universe, a new realm, and bring that deep emotional connection with the characters and story back. That is what new games are missing nowadays and that is our journey, our quest, our goal. So embark on this journey with us! Accept the quest to create this new generation of gaming. Together we can complete this quest! We are a group of costume enthusiasts who wish to better our costuming skills on an international level. We are located in primarily Boise, Idaho, but easily include interested members all over the Treasure Valley. Of course, anyone in Idaho with a love for costumes is welcome! The Gem State Costumers chapter of the International Costumer’s Guild was founded in January of 2014. Spearheaded by Tangl, the chapter has quickly grown in size and influence. Our goal is to bring the International Costumer’s Guild standards to the larger events in Idaho and give contestants the opportunity to showcase their work on a much larger scale. We also encourage costuming of all types, be it established characters, original characters, forces of nature, non-humanoids, and even costumes embodying a concept or feeling! Let your imagination run wild and see what you can dream up. We also host educational workshops though out the year to help spread the vast costuming knowledge of our group. [Facebook] Tim & Kim Boothby of Red Zone Fandom believe in supporting the fan community through photography. They find it rewarding to help people showcase their creativity and believe that showing people that there is a strong fan community in Idaho will encourage more to join in the fun. They are founding members of Red Zone Fandom (including Red Zone Fan Photography) and the Fantasy Artists, Role-Players & Writers Guild. Through the Red Zone and Guild they support the fans of Anime, Cosplay, Fantasy, Furs, Gamers, Sci-Fi, Steampunk among a wide span of fan genres. They work to publicize and feature content and activities local to the great state of Idaho, where Fandom needs more voices. The Red Zone operates photo rooms at many local conventions, taking digital photographs at no charge and make them available to the models online. Yes, you read that correctly, no charge to the fans. [Tumblr #2] A long time ago the world quaked as the awesomeness of Mokusei Kaze erupted into the world many decades ago. She is mainly known for her artistic depictions of the mysterious worlds spinning around in her head meat. When she is not working on commissions, tumbling answers about her characters, battling off the deadly plague of monotony and ironing out comics she relaxes with cat herding, electronic audio-visual adventuring, and cracking into the Necronomicon, Despite secretly being a devious super villain always plotting out the demise and suffering of beloved characters, she actually rather likes interacting with people of all sorts. So despite all rumors you may have heard, which I assure you are all true... especially the ones involving cemeteries at midnight... she is actually one of the finest stranger than others you will get the chance to meet. Mokusei Kaze (or Moku for short) has been an artist in the furry fandom for over five years, but has been an anthropomorphic artist for well over ten. She graduated from Boise State University in 2014 with a Bachelors Degree in Illustration and Fine Arts. 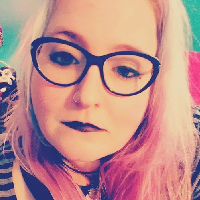 She is currently working on a number of comics, (one will be a free webcomic with steampunk ad furry theme, a collaborative comic with an ongoing story arch for publication through Osiris Press, and a couple of short single run adult furry comics). Moku decided to become an artist within the fandom because she has always loved anthropomorphic imagery and the fandom also allows a level of freedom in art not found in other art circles.
. Back in the day, "The Sketch Rats" started as a group of Illustration students from BSU that would hang out in coffee shops and the mall sketching and drawing people in the area. Then one day, one of the rodents spoke up and said, "We are not mice! We can be so much more." And that is when they transformed from a ragtag group of little illustration students into an illustration collaboration group where we help promote ourselves and encourage other illustrators to shoot for the stars. We are currently working on creating and bringing to light our personal comics and various illustrations. 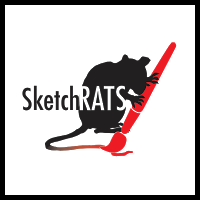 Sketch Rats is also working on becoming a spring board for us to help promote our artwork and to network with clients, fans and other artists. Plushie Costume Contest Judge Guest Kim Boothby has a wide range of interests and skills, ranging from cooking and welding to sewing and painting in the Norwegian Rosmaling style (Rogaland, not Telemark style) and finds time for photography as well. She has everything but that elusive thing called free time. She has won contests in cooking and photography and has judged Fandemonium’s Plushy Contest since its first year. Short Story Contest Guest Judge Tim Boothby believes that reading is one of the most essential skills in life, if you can read how to do something then there’s a good chance you can do it too! He’s written (for fun and sometimes profit) everything from hard news stories, fantasy, science fiction, role playing adventures and odd an occasionally disturbing reminiscences of equally disturbing events in his own life and is judging Fandemonium’s writing contest for his third year. All Content Copyright Fandemonium (C) 2003-Present, All Right Reserved, unless otherwise stated. Guest of honor images are copyright of their respective owners and are used with permission.